Havana, Cuba is often lauded as the world leader in urban agriculture, with some sources suggesting that anywhere from 50% to 90% of the city's fresh produce is grown within it's boundaries. 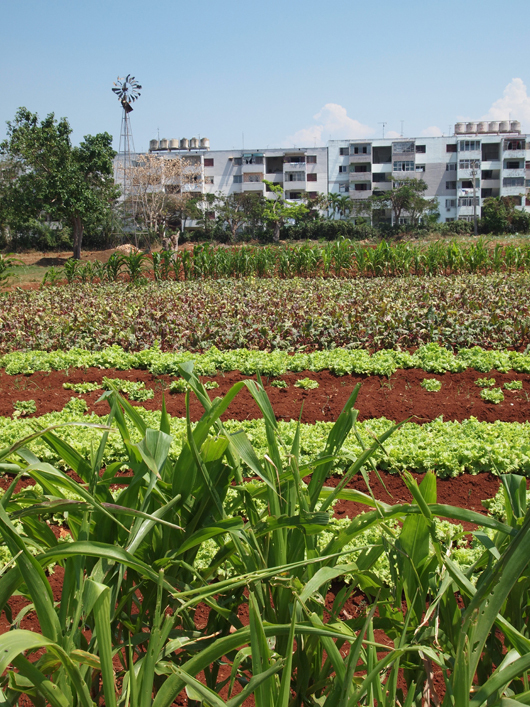 The formation of a strong urban agriculture system in Havana began as a response to crisis - the collapse of the Soviet Bloc in 1989 - at which point Cuba lost access to importing food and agricultural inputs from their main trading partner. Further pressure came in the form of the U.S. embargo which created a shortage of gasoline for transporting food from rural to urban areas. A major food shortage resulted, and when residents began planting their own food across the city, the Ministry of Agriculture supported them. In 1994 an Urban Agriculture Department was formed. There are whispers, however faint, of crisis in the widespread interest in urban agriculture in the U.S. Many proponents are drawn to the idea of self-sufficiency that growing your own food within city bounds promises, and it might be more than coincidence that the movement took off at the same time the economy melted down. 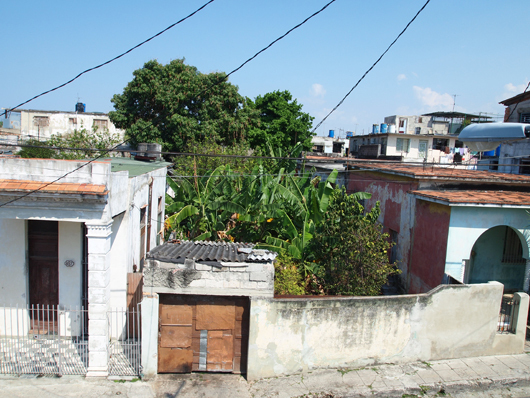 So how does the landscape of Havana's urban agriculture relate to the growing movement here in the U.S., if at all? -What is your understanding of the history behind agriculture as a strong feature of Havana? 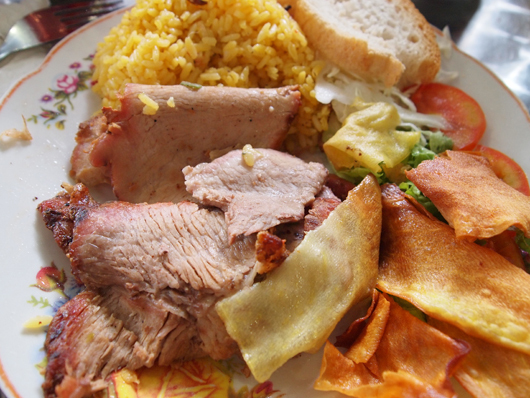 Cuba historically shared many of the same attributes of western industrialized nations, with regard to it's food system: adopting a taste for international cuisines (predominantly a non-native, Spanish diet) and creating cash crops of rum, tobacco, and sugar to trade for food and non-food goods from around the world. This was the case even after the revolution (and Fidel) removed much of the U.S. control of agriculture & trade, converting the country into the communist state that it remains today. Following the U.S. embargo, however, Cuba conducted it's trade predominantly with the Soviet Union. The growing of cash crops, like sugar, was a chemical intensive mono-crop with heavy use of pesticides, fertilizers, etc. After the fall of the Soviet Union, Cuba entered the 'special period' which saw their number one sugar importer gone. They were forced to re-structure much of their trade, supply, and agricultural systems during this period. 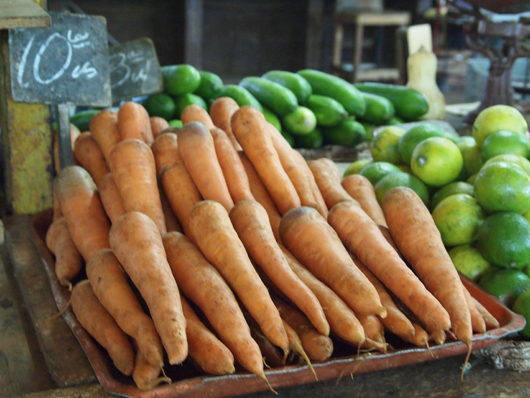 What began as a necessity to produce food without the support of trade with the Soviet Union and without fossil- fuel based agricultural products, led Cuba to become a pioneer in organic and urban food production. With well-integrated individuals in both research institutions and government office and communities initiating local food growing, urban agriculture spread during the special period in both the 'top down' and 'bottom up' fashion. -Can you describe for me the state of urban agriculture in Havana as you saw it? Is it as wide-spread as I imagine it to be, virtually all across the city, or does it have a pattern? My preconception, given the government role in promoting urban agriculture was a distinctive pattern of integration of agriculture & city fabric. My readings prior to the visit led me to believe that every square inch of available land in Havana would be farmed; every bin a raised planter, every street tree a fruit tree. Of course, this was not at all the case. 1956.8 hectares of organiponicos in Cuba, 8233.2 hectares of intensive gardens, 384 hectares of semi-protected cultivation sites, 12,983 of patio farms, and 31,124 hecatres of allotment/parcel farming. 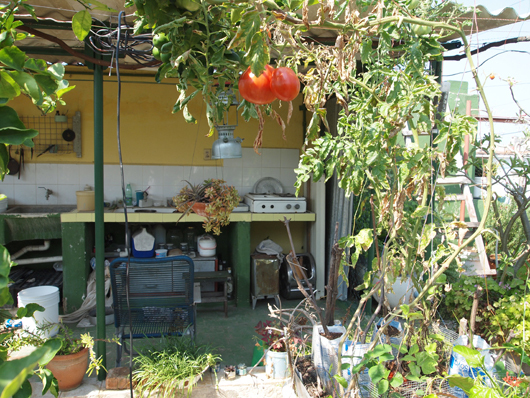 -What typologies of urban agriculture did you see there - market farms, communal gardens etc? While there I visited an organiponico (an organic market farm), food growing allotments, a community-based roof-top farming operation, a restaurant-based farming operation, and several other informal independently managed edible landscapes. -Is there anything specific about the infrastructure of the city that you feel contributes to the success of urban farming? Are there any lessons American cities might learn from a physical planning perspective? Government support was instrumental for training new farmers, making urban land available, providing equipment and growing materials. Being a communist nation, where the government owns nearly all urban land, makes assessment and leasing of land more facile than in the U.S. Issues [we have here] such as high urban property values, etc. are not issues there, since the buying and selling of property is illegal in Cuba. -What about distribution systems and profit models? How did you see these working in Havana? Well, the tricky part is that Cuba is a communist state, a non-consumer society. But interestingly enough, the organiponicos operate on a slightly more independent model, in that they typically grow foods that are not provided with government subsidy. The government subsidized foods include rice, beans, meat, sugar, flour, bread, milk. The subsidized foods are some of the most unsustainable, non-native food products on the island, and arguably some of the least healthy. In fact, tobacco for a long time was included in this subsidy. 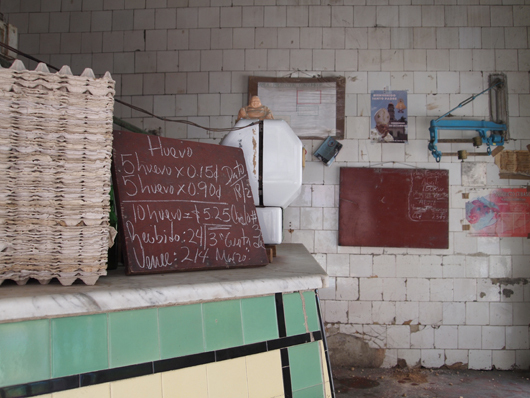 Organiponicos actually generate a profit in providing market-based foods (typically healthier and organically grown) to Cubans. In fact, farmers are some of the wealthiest individuals in Cuba. They make more than doctors and lawyers. Other forms of food-growing operations I encountered were subsistence-farming or educationally driven food-growing projects. -As a landscape architect, what are the lessons learned from your trip? What elements can we apply to advocating for urban agriculture in our cities here? In the U.S. the city governmental/planning system is less integrated with the local, community, grass-roots level [than in Cuba]. If anyone would like to argue that, they should check out the Occupy Farm in Albany, CA - the needs, desires, and know-how from the community is not always well-matched with the needs, desires, and know-how of city officials. That's where I think the landscape architect comes in. Landscape architecture is one of the last great generalist professions, great at synthesizing information and addressing multiple concerns from a range of scales, and integrating that into design solutions. In that way, we can work as a link between the community and the city, to find alignments between the 'top down' and 'bottom up' approaches that are cropping up in cities all over the country. In that way, I believe landscape architects have an important role in designing and promoting a more sustainable city integrated with food-growing landscapes.